This Turkish student wanted to leave us a very nice message, she attended our TALK English School in San Francisco and will be back in Summer 2014. Enjoy! “Last summer I studied at TALK San Francisco, which is on the campus of Notre Dame de Namur University in Belmont, California. Here you can use University Placement services, which are provided to ensure you will maximize your academic potential in the USA after you attain English proficiency. I will return to TALK in June and July of 2014 so I will be with the TALK family again for 2 months. I am returning because it was a very good experience for me. Attending classes I had an opportunity to interact with a big variety of cultures and ethnicities. While having improved my English, I also acquired knowledge of different nations’ customs and history and therefore became more broad-minded. I learned so many things at TALK, where the teachers are very professional and there’s an excellent environment. Because of the good quality of my program, my English has really improved. This is one of the most wonderful and unforgettable experiences of my life. I’d like to thank my teachers, all the staff and my classmates. Thanks, Nisa, and we hope that many other Turkish students follow in your footsteps! We love having you as part of our family! Interested in this school? 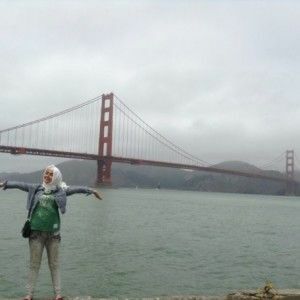 See why Nisa liked so much her experience at TALK San Francisco, California! 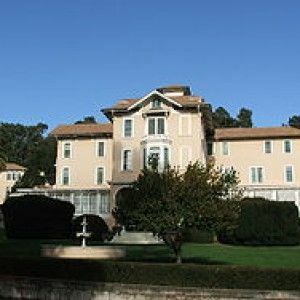 Founded in 1851, by the Sisters of Notre Dame de Namur, this university is located on the San Francisco Bay Area Peninsula, right next to the Sillicon Valley and it is conveniently located less than 30 miles from downtown San Francisco. NDNU offers 21 undergraduate degrees, 14 Master’s degrees, 4 Credentials and 1 Doctoral degree. On top of that, The Notre Dame de Namur University is home of one of the TALK English Schools. TALK San Francisco is located on this 50-acre campus just south of San Francisco. As benefits, TALK students can enjoy of the NDNU GYM facilities and cafeteria and many other areas. Do not have where to stay? You can stay on the universiy campus residence halls or with a host family! Want to check what students do at TALK San Francisco? Check our our Facebook Page!